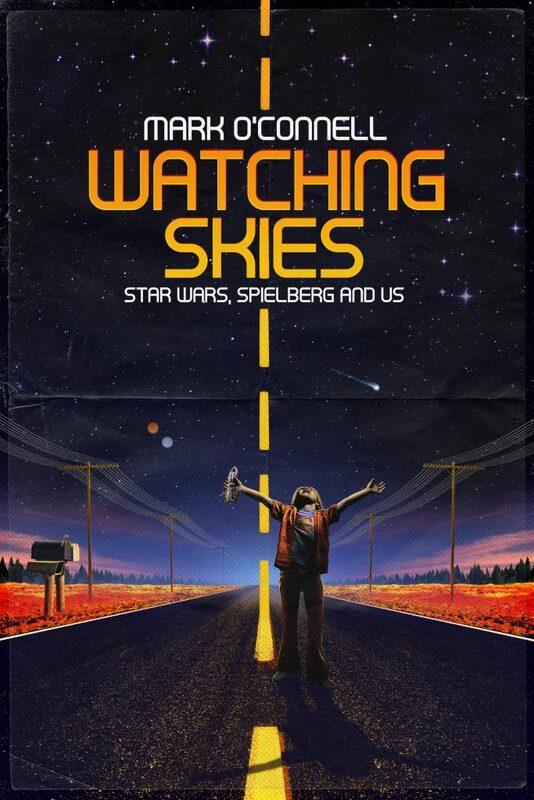 Author Mark O’Connell has a new book releasing September 1 titled, Watching Skies: Star Wars, Spielberg and Us. 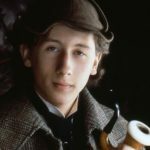 The book takes a look back at the films and popular culture of O’Connell’s youth and the impact they had on his life and ours. 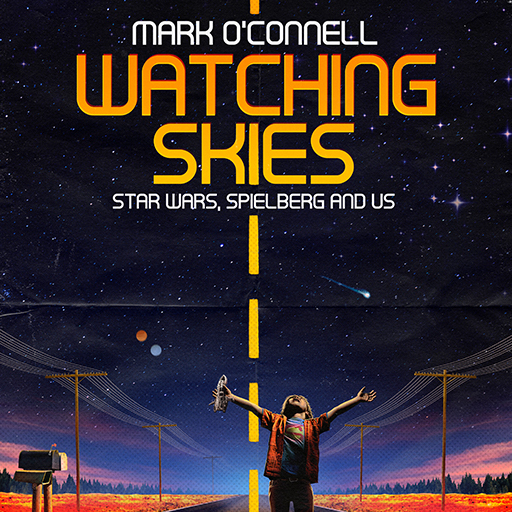 You can pre-order Mark O’Connell’s Watching Skies: Star Wars, Spielberg and Us now on Amazon. It ships in the United States on September 1st. Can you give us a little background on what you do for a living? 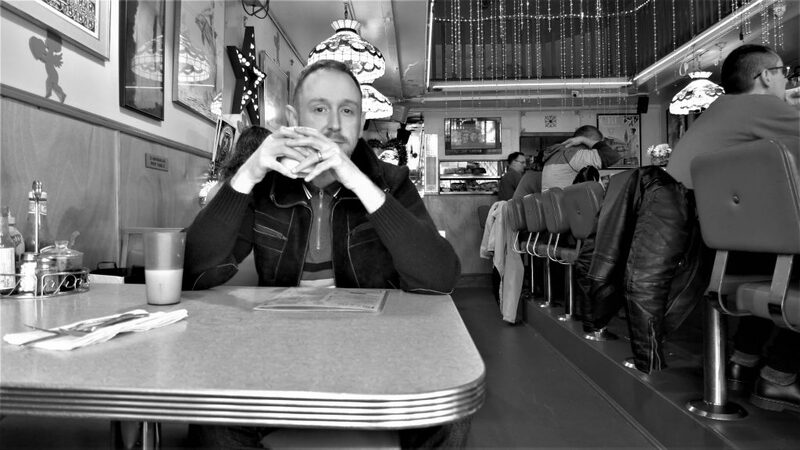 I’m a writer and author. I started out doing screenwriting, fell into comedy writing and now also do all sorts of pop culture, op-ed, LGBT travel and op-ed writing, movie punditry and Bond movie chat. What made you decide to write Watching Skies? I had always wanted to do a book about Spielberg. He was the foremost filmmaker of my childhood and beyond. I was chatting very loosely with a publisher who had liked my previous book, Catching Bullets: Memoirs of a Bond Fan. We both wondered if there was scope to take the same Bullets approach, yet point a similar nostalgic lens and reappraisal thinking at those Seventies years of Steven Spielberg, George Lucas, and Star Wars. And instead of being a memoir through Bond, Skies quickly structured itself as all our memoirs through Star Wars, Superman, Lucas and, of course, Mr. Steven Allan Spielberg. Whereas Bond, for various reasons, represents home and family to me, those landmark and early movies of Spielberg, Lucas, Donner and others are childhood mates I still hang out with. Can you give us a brief rundown of what the book is about? Watching Skies is a timely hologram of all those Eighties kids who grew up with Spielberg and Star Wars. It is about a whole generation’s remembrances of cinema, movie toys, Reagan, Atari, Space Shuttles and VCRs. Our parents went to the movies. My generation was the first where the movies came to us—via the toys, the sticker albums and eventually home video and VCRs. Watching Skies looks at why are these films so revered? Why are they so vital to the history of not just one era of cinema, but also a key moment of 20th Century popular culture? Watching Skies is a mix of the personal and the cinematic. The book focuses a lot on your own personal nostalgia for movies and popular culture. Why do you think nostalgia is so powerful in the entertainment industry right now? There are a number of elements at play. There is always a future in nostalgia. And it is often cyclical. The cinema of the 70s itself was often curious about the 30s (The Great Gatsby, The Godfather Part II, The Sting, Chinatown, Cabaret, the King Kong remake) and the 80s had a penchant for the 50s (Back to the Future, Peggy Sue Got Married, Stand by Me, Raging Bull, Diner, Hairspray, La Bamba, Porkys, The Outsiders). This isn’t the first time the Eighties Struck Back. But, what we are seeing now is that teenagers and twenty-somethings are now interested in the 80s—it is their parent’s time and there is a rich stash of movies, music and Van Halen hairstyles to cherry pick and discover. Younger generations love to discover albums and movies that are not from their era— underground gems, missed classics and cult favorites. With the rise in confidence and commerce of the movie geek and franchise nerd—and the use of 80s minded soundtracks on contemporary titles (Baby Driver, Drive, Atomic Blonde, Kingsman)—it is also no longer unfashionable to like old things. Cue more Star Wars, Rocky, Blade Runner, Indiana Jones, American Werewolf, Superman, Vacation, Tron, Dune and Halloween movies. And don’t underestimate the social media and viewing platforms of today. Watching Skies describes and celebrates how we didn’t have YouTube to see new trailers, or Twitter to see a new movie poster. We got our exclusives and sneak peeks in very different, often accidental ways compared to today’s movie fans. 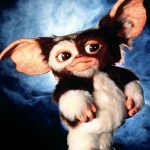 The irony is that the very things we didn’t have in the 80s— shares, likes, viral clips, retro-aware memes, Instagram, Twitter, YouTube, Netflix—they are all encouraging that fascination in 80s movies, fashions and movie quirks by enabling new audiences to experience and know them. Watching Skies remembers that the 80s was a very American decade. Michael Jackson, Levis, Nike, Madonna, President Reagan, The A-Team, Ghostbusters, skateboards, He-Man, Dynasty, Atari…this currency of America was all part of the language and punctuation of our TV sets, newspapers, charts, fashions, and movie theatres. 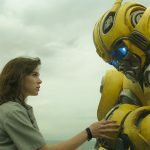 Add to all of this how both the money paying audiences and the directors, writers, producers, commissioners, editors and studio executives of today are all now also ex-80s kids—suddenly the wealth of shows and movies like Ready Player One, GLOW, Cobra Kai, The Toys That Made Us, Plastic Galaxy, Stranger Things, Wonder Woman 84, Dark, Red Oaks, The Goldbergs, Deutschland 83, Pixels and The Americans all make total sense. Oh, and the films celebrated by Watching Skies are still great examples of cinema. That helps too. You look back at a lot of different properties and films in your book. 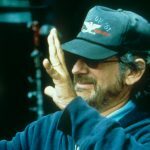 For Spielberg specifically, what is it about the director that attracted you to his work at a young age? His films and their concepts very quickly seeped into our popular culture. My parents would talk about that small movie they once caught on TV called Duel. The phrase ‘Close Encounters’ was often mentioned with an air of intrigue and ‘have you seen it yet?’ mystery. 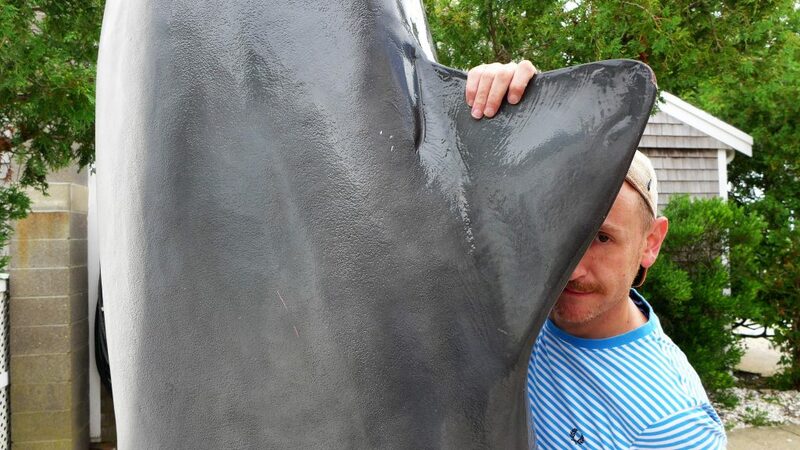 And there is barely a soul on this planet who went to a beach after the summer of 1975 without thinking of Jaws. For my generation he was the first movie director we could name or even recognize. 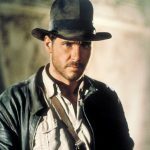 Few directors become pop culture icons (even Hitchcock, Ford, De Mille, Capra and Kubrick were not really familiar fixtures to younger generations). We would watch Spielberg from afar and that youthful energy suggested he was cool, child like and values kids and their ideas. Those formative titles, Jaws, Close Encounters of the Third Kind and E.T. The Extra Terrestrial, all feature kids. When Spielberg starts Jaws in 1975 with a band of cool teenagers hanging out on the beach, it was no mistake. He was making cinema young again. He was making kids engage in the movies as well as TV—a process that then fed into the success of Star Wars two years later. Also, Spielberg was a total original—a genuine, fresh force of cinema and movie creativity whose iconography seeped down into our theatre lobbies, TV screens, magazine features and bedroom posters like any definitive album cover or milestone TV commercial. He soon became one of the few directors whose name was bigger than any film attached to it. And that was because he was and continues to be such a magnificent moviemaker. Prison break dramas, high seas monster movies and UFO fables were nothing new until Spielberg made the definitive, almost century-defining, takes on them. 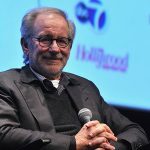 Spielberg was also at the forefront of technological advancements that married up perfectly with an era of home cinema freedoms, the liberation of owning a VCR, Dolby Stereo accessibility, and that tape rental revolution. It is something he shares with George Lucas—that dedication to evolving and improving movie technology whether it is on set, the cutting room or the audience’s sofas. 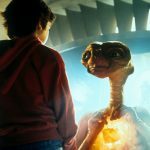 When we remember that E.T.was one of the most pirated titles of the 80s, it also means it was one of the most watched at home movies of all time. Getting a home copy of Close Encountersor Raiders of the Lost Ark was as vital for many a household as getting a cordless phone, a sunroof for the car, or a microwave. And what is the key theme and setting of those landmark Spielberg movies that Watching Skie scelebrates? The home, the domestic, the familiar. Nothing is more prescient to a young kid than a sense of home. When married up to game-changing visual effects, movie event hype and good storytelling… that is all a great elixir to younger generations discovering the movies. In your mind, what do you think Spielberg’s greatest contribution to filmmaking has been? He reclaimed how America depicted itself from the darker shadows of Nixon, Watergate and Vietnam. He reminded everyone of the wonder of a bedroom, an empty backyard, or a moonlit forest. His antagonists and story enemies were not governments or wars or political scandals. They were divorce, absent fathers, and disbelievers. It lends his work a soul from the outset. Yes, Spielberg (along with George Lucas) revolutionized both the commerce and technological conditions of the movies. But, that is all soulless if there is not a heart at the center of a scene, a line, or onscreen kiss surrounded by school lab frogs. Despite the scientific advancements of Close Encounters, E.T. and Raiders, Spielberg kept, and continues to keep, the humanity of a story at the forefront of his work. The resolve of the human spirit, rather than the destruction of it, is often his guiding principle. Add to that his ongoing ability to jump genres, eras, and stories…and the guy is brilliantly less predictable than ever. Not many legends of the screen can attest to that in their seventies. Follow Mark O’Connell on social media here and here.